Thank you for considering Sprint Van Lines for your moving needs. We are a full service moving company, which insures you that, from beginning to end, your move will be coordinated by us. At Sprint Van Lines we understand the difficulties involved in moving to a new residence and we would like to make this transition easier by helping you better organize your move. 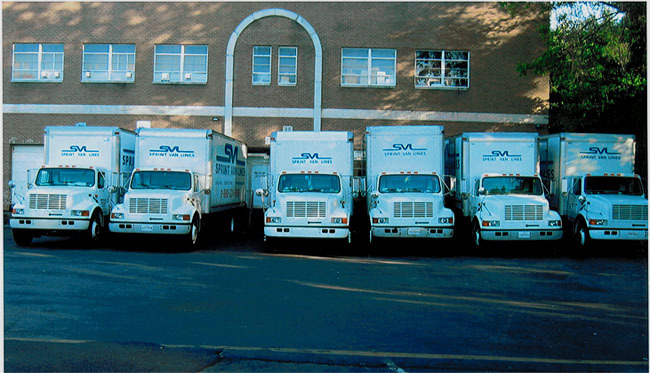 Sprint Van Lines is a family owned and operated company, we have many years of experience in the moving business. Quality and excellence in service has been the foundation of our success throughout these many years. We pride ourselves on providing total relocation and storage services to our local and long distance customers. At Sprint Van Lines we possess the people and the resources to get you anywhere, we offer unparalleled service from our dedicated and well trained staff of professionals. Our commitment to quality service covers your move from our very first contact until you and your valuable possessions are safely in their new location. We are continually striving to make each moving experience a better one and provide you with the peace of mind that your property is in the best of hands. Thank You again for your wonderful help, We wanted to write and tell that you have one hell of a fine team working for your company, On Saturday Harvey, Phillip, Frank and Shay were absolutely the best crew we've seen in a long time. They worked quite hard and team work was unbelievable and so organized, we were so pleased how polite, they all had excellent personalities. It's very hard to find great help these days, knowing this being at my job now for 18 years, but your guys are incredible. There are not enough words to say how great they really are. Tell them again John, Devin and I said THANK YOU!!! I will higly recommend your company and especially the team of Harvey, Phillip, Frank and Shay.